Glucosamine is a compound found naturally in the body, made from glucose and the amino acid glutamine. Glucosamine is needed to produce glycosaminoglycan, a molecule used in the formation and repair of cartilage and other body tissues. Production of glucosamine slows with age. Glucosamine is often combined with chondroitin sulfate, a molecule naturally present in cartilage. Chondroitin gives cartilage elasticity and is believed to prevent the destruction of cartilage by enzymes. Glucosamine is sometimes combined with methylsulfonylmethane, or MSM, in nutritional supplements. Glucosamine is an amino sugar necessary for the construction of connective tissue and healthy cartilage. It is the critical building block of proteoglycans and other substances that form protective tissues. These proteoglycans are large protein molecules that act like a sponge to hold water giving connective tissues elasticity and cushioning effects. This also provides a buffering action to help protect against excessive wear and tear of the joints. Without glucosamine, our tendons, ligaments, skin, nails, bones, mucous membranes, and other body tissues cannot form properly. Glucosamine is currently used for the treatment of osteoarthritis, but since it is a major component of joint cartilage, supplemental glucosamine may help to rebuild cartilage and treat joint injuries. Many weightlifters and health enthusiasts alike are supplementing with glucosamine products to help maintain good joint heath, prevent, and repair minor joint damage. 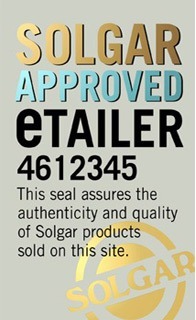 Solgar supplies several different Glucosamine supplement products such as Solgar Glucosamine Chondroitin 1000mg Complex 75 Tablets, Solgar Extra Strength Glucosamine Chondroitin Msm 60 Tablets and Solgar Advanced Glucosamine Complex 30 Tablets.